Sometimes, just when you think you are about to bring on a new rockstar team member, you get hit with an objection! BAM! 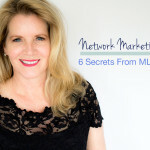 If you work in network marketing, this is something you will deal with over and over again. I have put together a toolkit of the best way to handle objections. This has been a huge asset for me and my team as we build our business. 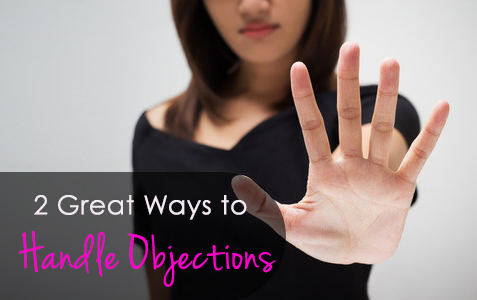 Here are two great ways to handle objections. First, to overcome ANY objection memorize this line: “I don’t know about that, what I do know is…. *share testimonial*. The testimonial story could be product based or business based depending on what question the prospect asks. Another great way to handle objections, no matter what the objection is, is to say “That is exactly why I thought of you! People love that you thought of them and it helps them get over their resistance. This is the absolute simplest way to handle an objection. A friend taught this to me years ago and it is brilliant in its simplicity. When your prospect says, “I would love to do this with you, but with my schedule the way it is, I just don’t have any time.” And you say, “That is exactly why I thought of you! 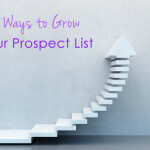 I want you to have more time.” Then watch your prospect smile or say “really?”. 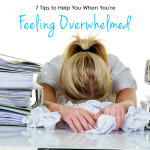 These two tips are now your secret weapons! You have an amazing opportunity to share with the world and knowing how to handle objections will make it that much easier to share it. 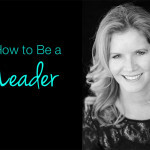 I would suggest sharing these two tips with your team and practice your best responses. This can only help you build your business! P.S. I hope my tips on how to handle objections are of value to you. If you liked this blog post, I think you will love my blog post on How to Deal With Negative People! You also may enjoy this additional training about Success Secrets From Top Team Builders from Ray Higdon.